Who loves the smell of bacon? We sure do! Bacon mixed with a little maple syrup? Oh yeah! Delicious! 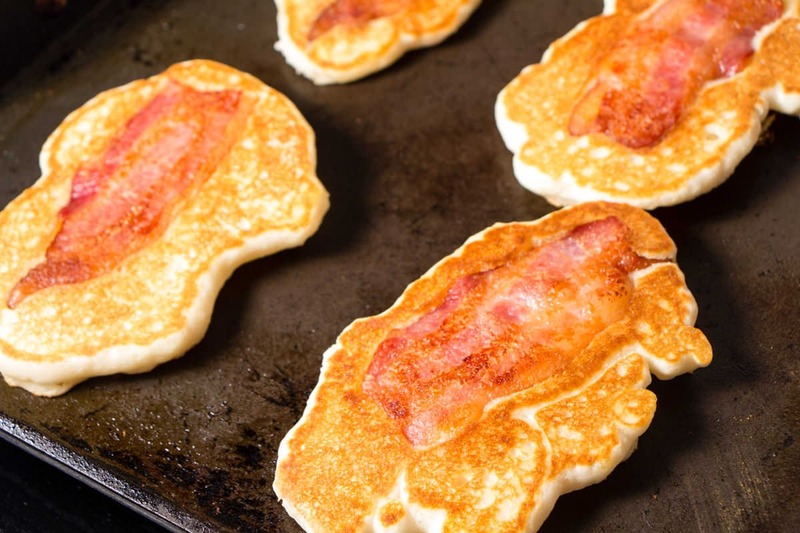 The Bacon Pancake Dippers are wonderful. Full of yummy flavor and delicious. A treat for breakfast any day of the week. Some of my best family memories are waking up on a Saturday morning to the smell of bacon cooking. It just brings a smile to my face and a little bit of childhood to my mind. It’s the Best! Bacon Pancake Dippers start with cooking bacon. I prefer to cook my bacon in the oven. The grease is contained and the bacon doesn’t shrivel up. Plus its just so darn simple and the clean up is easy. So for this recipe I prefer to cook my bacon in the oven. Go ahead and mix up the pancake mix according to package directions. You can add some whipped up egg white if you like, this makes the pancakes so light and fluffy. But it’s really not necessary for this recipe. I’ll dive into that trick in another recipe, I promise! 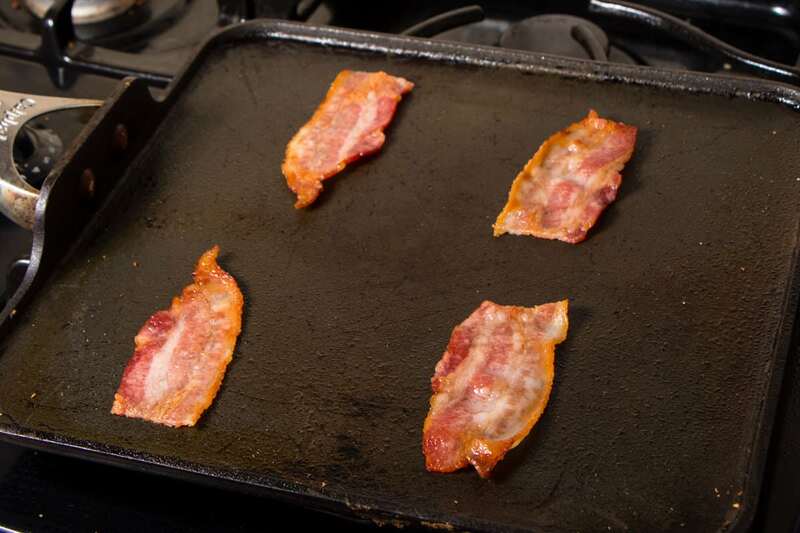 Once your bacon is cooked up and pancake mix ready to go, drain it on some paper towels and then get your skillet hot with a little bit of oil/spray/or butter. 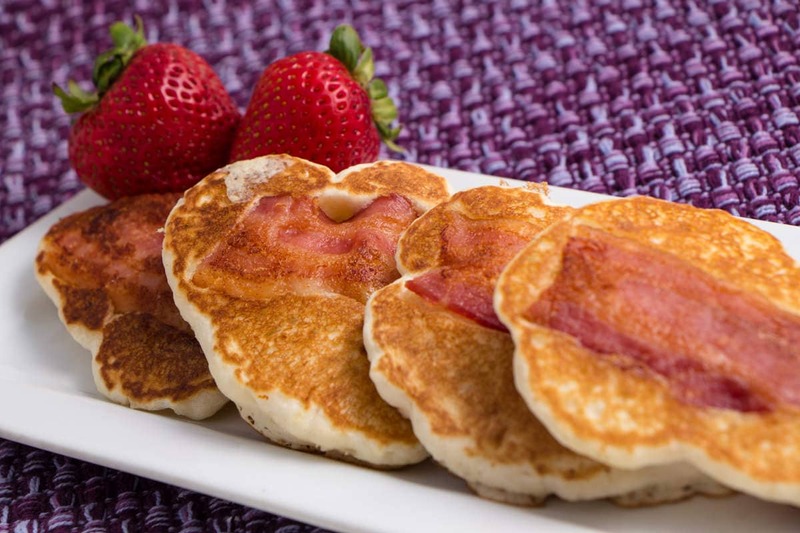 When it’s sizzling hot, place 4 – 1/2 size pieces of bacon on the skillet and top with pancake mix. Allow it to cook until bubbles form on the pancakes and the bottoms are golden brown and then flip them over! Cook the other side until golden brown and then remove from heat. 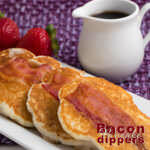 Bacon Pancake Dippers are super flavorful and a cinch to make! Begin by cooking your bacon. I prefer to oven bake my Bacon because it makes less of a mess and my bacon doesn't shrivel all up into tiny curled up pieces of bacon. On a hot skillet place 4 pieces of cooked bacon and top with pancake mix. 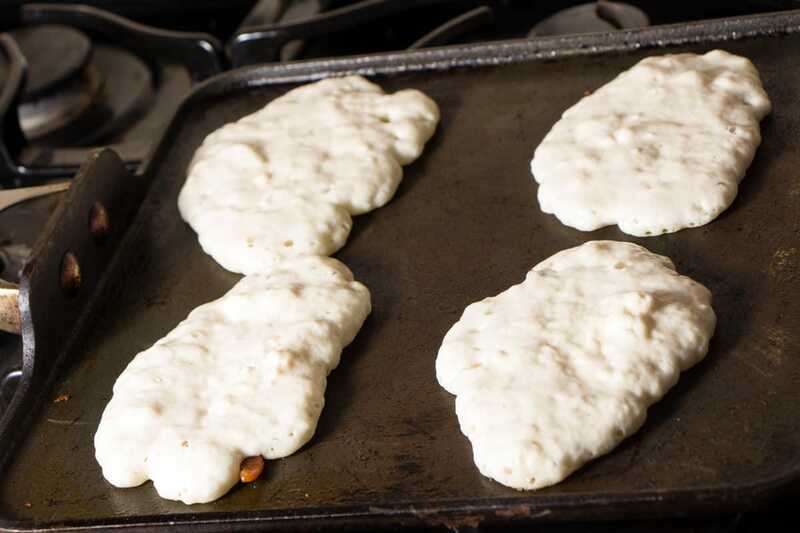 Allow to cook until bubbles form and them flip pancake. Cook other side and remove from heat. Repeat until all the bacon is gone. Drizzle with melted butter and hot maple syrup. Love bacon! Love pancakes! Love breakfast! Why didn’t I ever think of combining them before? These look super yummy! This is a win win recipe here. 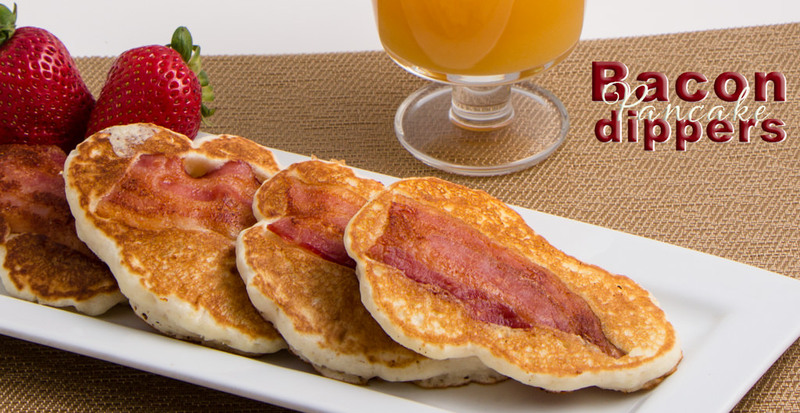 You can’t go wrong with bacon and pancakes! Ah, those are so cute! 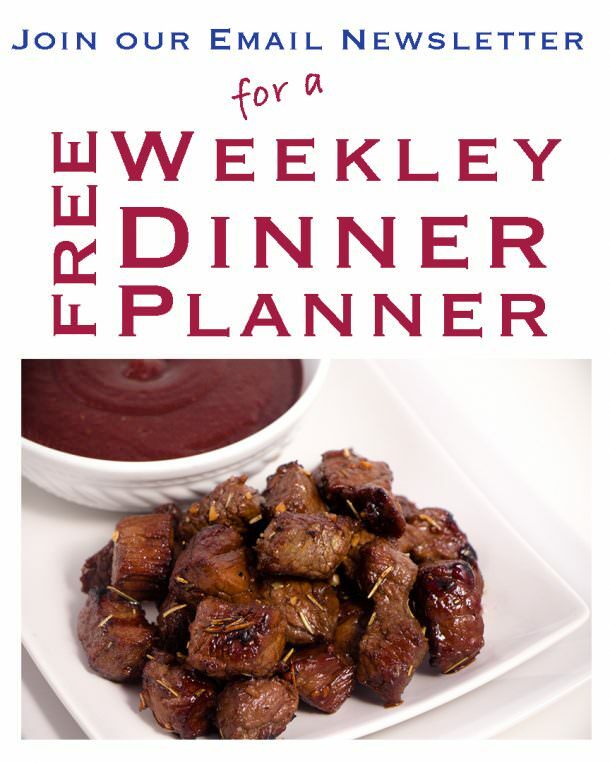 Any family would love them..could even work for a weeknight dinner. I love breakfast for dinner. Breakfast for Dinner is the BEST! We love it. They would be so fun for any occasion! Yummy! My family would love these. This is the perfect recipe for a lazy Saturday morning. 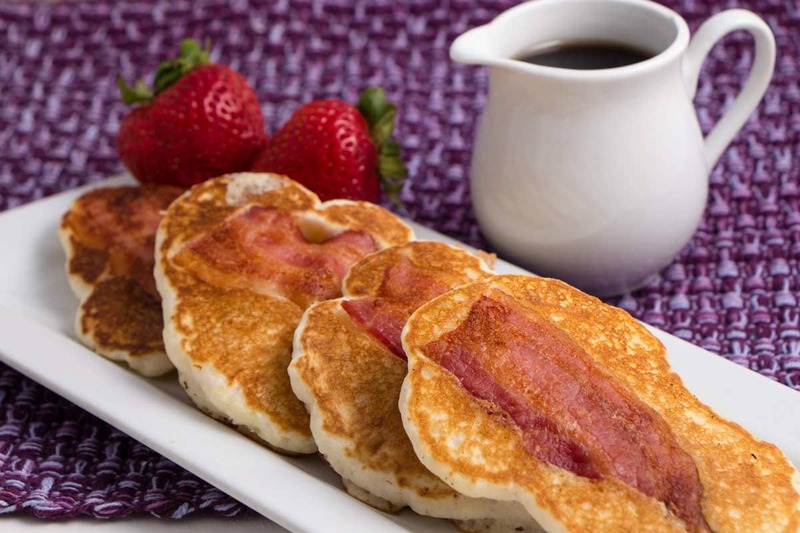 I love pancakes and bacon so these look so good to me, haha! I definitely have to try making them for my husband sometime!